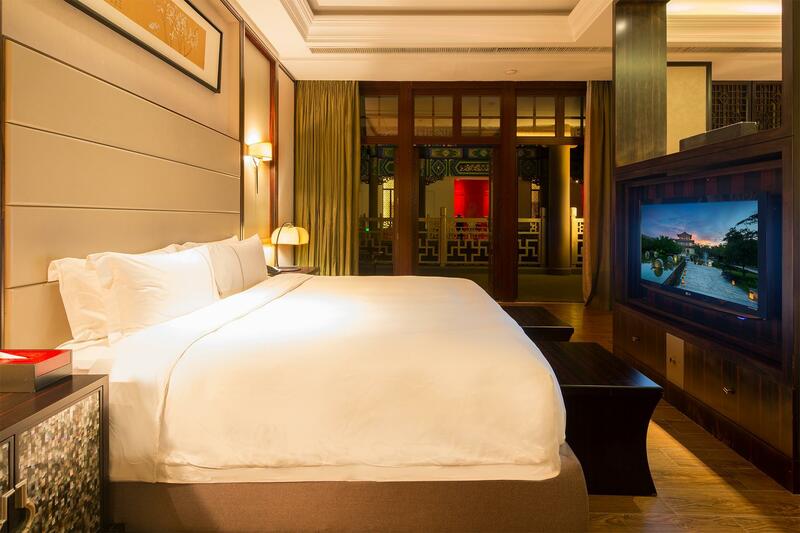 Heeft u een vraag voor Eadry Royal Garden Hotel Haikou? 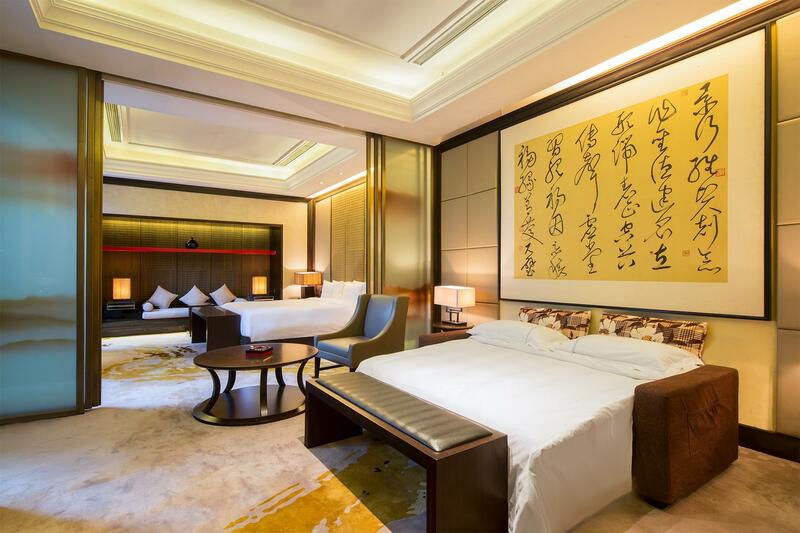 Eadry Royal Garden Hotel Haikou in Meilan, Haikou is een populaire keuze onder reizigers. De accommodatie ligt 15 km van het stadscentrum en de belangrijkste voorzieningen zijn dus goed bereikbaar. Dankzij de praktische ligging, biedt de accommodatie eenvoudig toegang tot alle belangrijke trekpleisters van de stad. 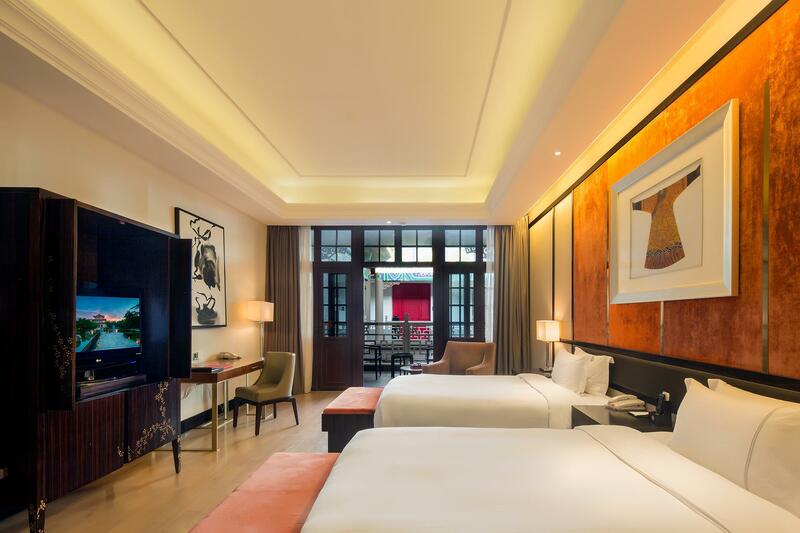 Niets is te veel voor Eadry Royal Garden Hotel Haikou om het haar gasten naar de zin te maken. Zo biedt deze accommodatie de beste services en voorzieningen. Deze accommodatie biedt ter plaatse vele faciliteiten die zelfs de meest veeleisende gasten zullen tevredenstellen. Stap binnen in één van de 305 uitnodigende kamers en ontvlucht de dagelijkse stress met een breed scala aan voorzieningen, zoals plasma tv, badkamertelefoon, kledingrek, oploskoffie, thee. Of u nu van fitness houdt, of gewoon lekker wilt ontspannen na een drukke dag, het kan allemaal dankzij recreatieve voorzieningen zoals fitnesscentrum, sauna, thermaalbad , zwembad (buiten), wellnessfaciliteiten. 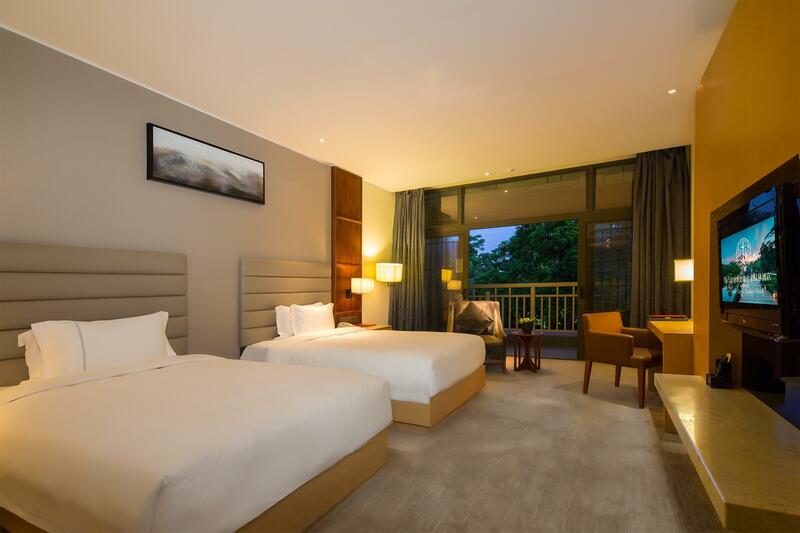 Wat de reden van uw bezoek aan Haikou ook is, Eadry Royal Garden Hotel Haikou is de perfecte keuze voor een enerverende vakantie. Het ledikant is op basis van wie het eerst komt, wie het eerst maalt gratis beschikbaar. Maximaal 1 kind korter dan 120 centimeter dat van een aanwezig bed gebruikmaakt verblijft gratis. The rooms were all dirty (some to appaling degrees), with stains on the carpets, mold growing in the outer doorways. Much of the furniture looked heavily used, much of it was broken. Although the listing here on Agoda read that the staff spoke "English or Chinese", they most certainly did not speak any English. If I didn't speak my terrible Chinese, how would I have survived? False advertising. Despite that, the staff was helpful when I could communicate the issues of filthy rooms to them. The manager gave me an "upgrade" to a "suite". The suite was certainly a very big room, but it had no window, only an outdoor area (that had a shower???????). The suite was filthy with stains and mold. The room next to it was gutted of all furniture. It seemed like a portion of the hotel was just abandoned???? The hotel felt like a cemetery. There was almost no one there, and the people you did see felt like apparitions floating through beautiful Chinese courtyard spaces..... surreal but boring. The first room was very old and dirty looking with wall papers peeling and the toilet tiles looked like they were not washed properly cos they were stained. However, after complain, they upgraded us to a suite room which was better. Overall the place definitely need upgrading and maintenance. Also, the pool next to the room was closed. The surroundings are beautiful, with a mini zoo. Visited April 2018. Make sure pay attention to details for what is complimentary items available. Hidden changes might occurred. 1. Have front desk 12 passports but only returned me 11. Still insists that I did not give her 12. She misplaced one in the back office! Not acceptable as I counted them in front of her 2. After one day the staff forget to scan one of the 12 passports. Had to give to them to rescan 3. Two room's access cards were accidentally invalidated i.e. Cannot access room on day 2. This is due to data entry by front desk. 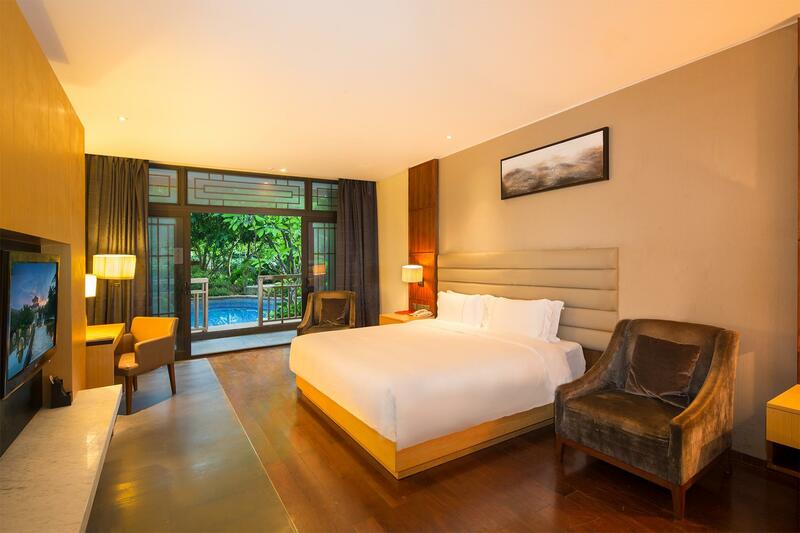 It was a few mins long walk room 8223 and 8220 back to front desk. 4. Breakfast arrangement was poorly managed. Had to move from western restaurant to Chinese restaurant for breakfast. They assured us that the breakfast spread was the same, but clearly it was not. Half of the spread was reduced and we are not allowed to go the original Western Reataurent to get food. Understand that the entire Weatern Restaurent was fully reserved for some high level officials, but as paying customers, we were not fully entitled to the spread that we had on day 1 of breakfast. This is a place where I wish we had more time to spend exploring. Gorgeous grounds. Beautiful buildings and very spacious artistic setting. Places one he grounds to sit and sip coffee or unwind after a long day. Pools are connected by long water ways and under little bridges. Restaurant was fairly expensive and western food was not very authentic. Rooms were spacious, but a little moldy smelling due to the tropical climate. Just gorgeous! Would like to try it again. This hotel is just 15 mins away from international airport. Hotel facilities are sufficient with great resturants and free fish spa, big pools and lot of pavilions. It is like a chinese palace. love that nostalgic feel especially so with the chinese architectural. But the spa package is expensive. No shopping nearby the hotel unless you take a 40mins transport out to the town. Would recommend to those who just need a short stay (1 or 2 nights). Kids loved the hotel design, stayed for 2 nights. Location was close to airport and a small town where there are supermarkets, eating places etc. Travel time to Haikou was acceptable accept during certain hours of the day whereby there is heavy traffic.Room was OK except for the bathroom. The shower door does not fit well and after showering, the bathroom floor outside the bath cubicle gets all wet and slippery! Beautiful greeneries and landscape. Adorable mini animal zoo. More inhouse activities can be an added feature. The breakfast is not so nice but the Chinese restaurant is good. We only stay for a night before our flight back. 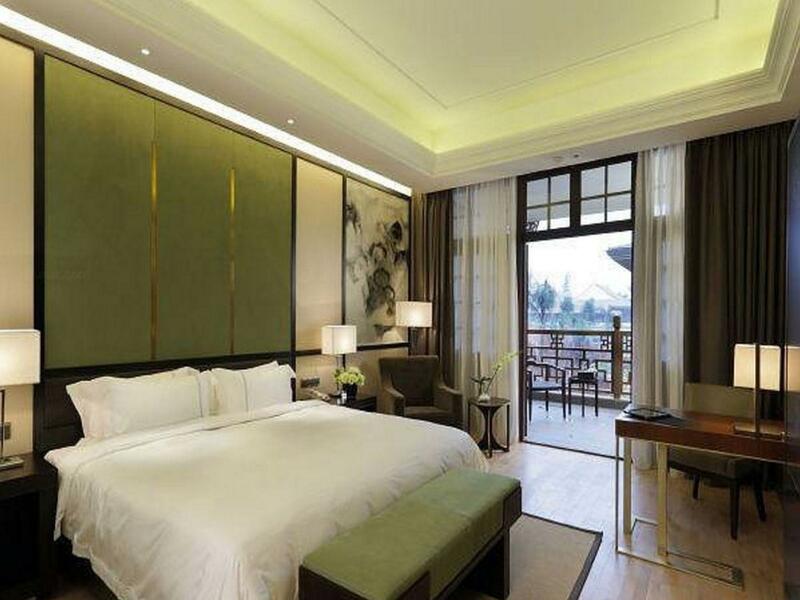 A very big and nice hotel built in ming qing dynasty style. As it is relatively new, there are not a lot of guest so was good for us as we don't have to worry there are no seats for our breakfast. A quiet retreat, only 3km from airport. Tranquil gardens, well designed SPA hotel and excellent restaurant. One of the best hotels I've stayed this year. 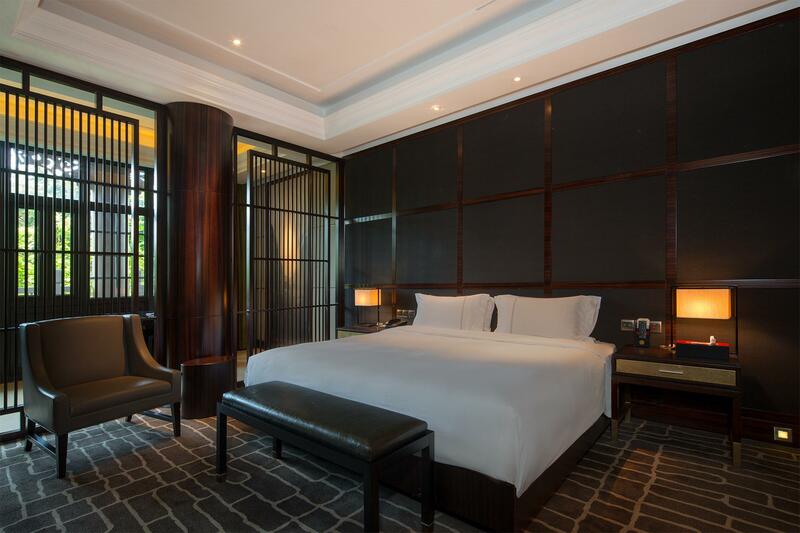 Spaces hotel and great Asian interior design. If you want to relax and take a break...this is recommended. My wife and I look forward to our next visit. Friendly staffs, nice foods, nice enviroment. Spend 1 night at this wonderful hotel. The area is big with many swimming pools and free fish spa and many other sport activities. 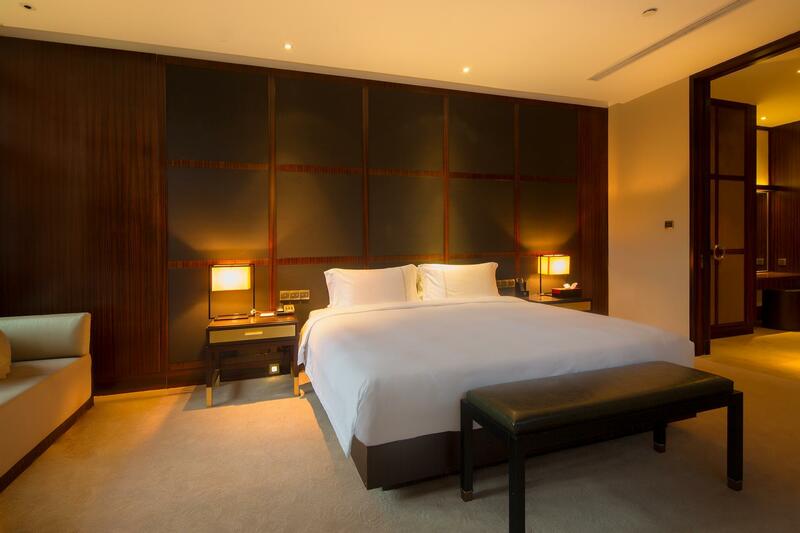 The room is great with comfortable beds. The only problem is the air condition which always on and off by itself, which make the room stuffy during sleep. Staff were friendly. Located close to airport. Booked a no smoking room 6months ago but ended with one! The room has musky wet carpet smell which was vey strong. Staff overall were very pleasant. 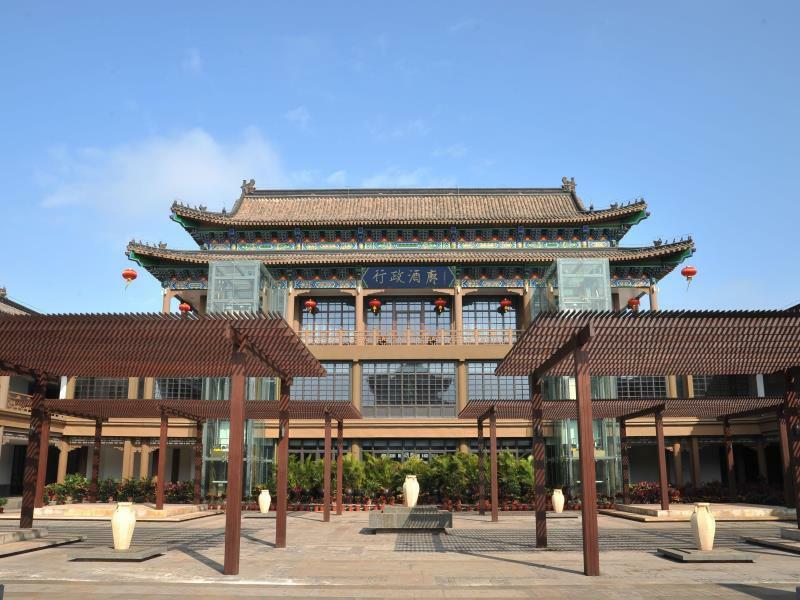 Entire hotel was designed in those traditional Chinese palace concept, very appealing and good for photo taking! 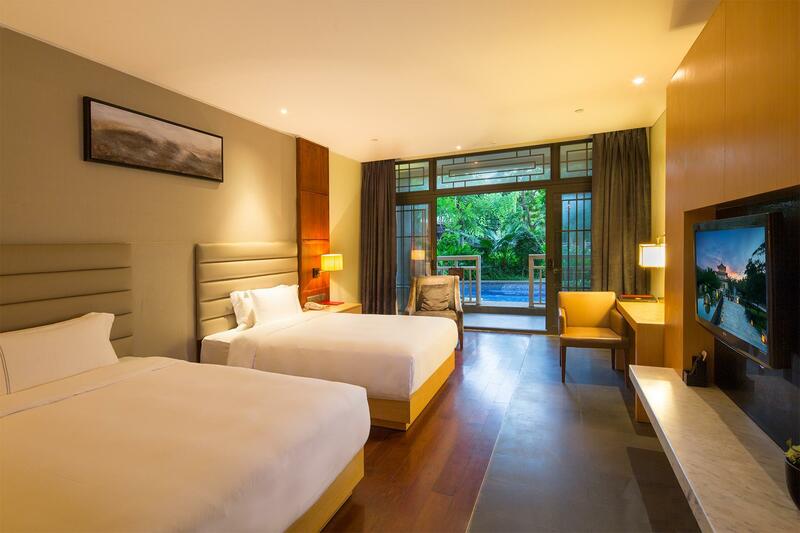 Comfy rooms, big spacious hotel compound, nice architecture. staff are polite and helpful.